Congratulations to HRH Prince Harry and Meghan Markle on their Wedding! We joined in the celebration today with a Royal Tea Party at the Gerlach House. 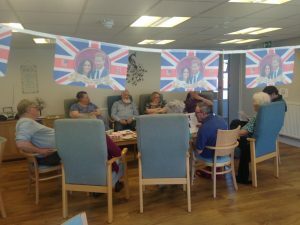 Residents were treated to homemade scones, sandwiches, and cake. They were tested on their Royal Wedding knowledge with a quiz, and lots of joy was given to the newlyweds.